And beautiful thoughts they are! 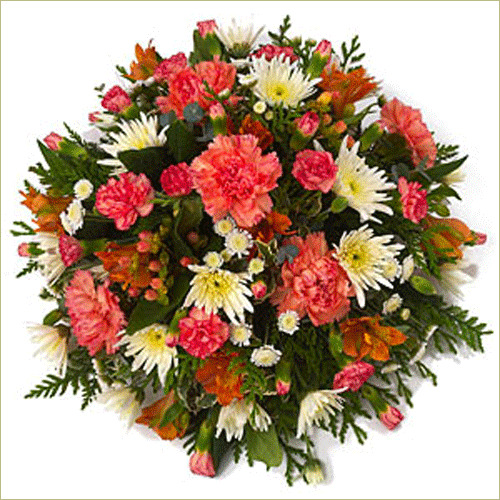 Spider moms,Carnations and hypericum all shine their best for your family today. Offer hope in this trying time with this bright fragrant blossoms of nature’s best. This radiant wreath symbolizes the divine purity of spirit, faith and everlasting life. Express your deepest sympathies, send these beautiful wreath today. Standard Wreath includes 25 stems. Deluxe Wreath includes 30 stems. Premium Wreath includes 35 stems.